I’ve really enjoyed putting together this body of portraits of members of the Forest Lawn community. For those that aren’t aware, Forest Lawn, which is unfortunately referred to by many as “Calgary’s ghetto”, is a community in the city’s southeastern quadrant that was first settled in the early 1900s, incorporated as its own town in 1953, and annexed by the city of Calgary in 1961. For many years, the area has been plagued with high crime rates, but with the help of some great social programs and encouragement from law makers and residents alike, Forest Lawn’s rough reputation is slowly being shed. In my experience, I was told by non-residents to “beware” — but I found that no matter who I spoke with or where in the neighbourhood I crossed their path, people were friendly and more than willing to share with me their favourite thing about Forest Lawn. By and large, most of my subjects had the same answer: the people. 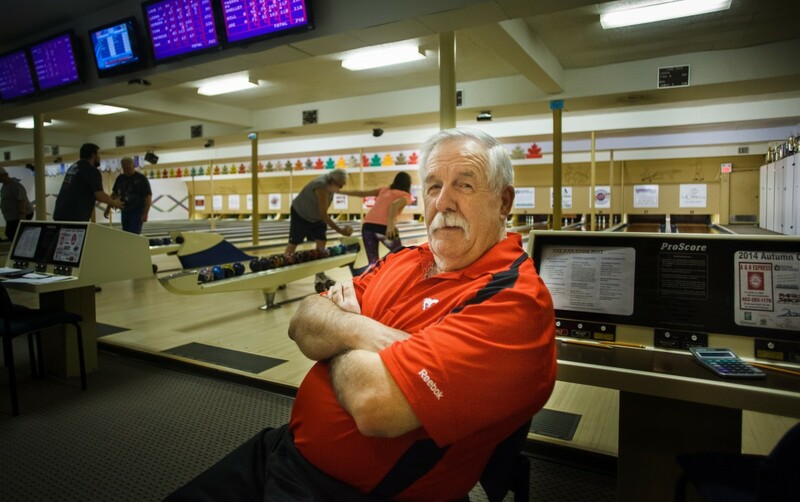 Joe Wood, 67, is a bookbinder, but in his spare time -- "every Sunday, Monday, Wednesday and Friday," he says -- he bowls with friends and is a volunteer bowling coach with the Youth Bowling Club at Paradise Lanes in Forest Lawn, where he has bowled for over 30 years. Though he lives elsewhere in Calgary, he says he still comes back to Paradise Lanes for the friendly community atmosphere. Forest Lawn resident Colin Ireland shows off the inside of his 1958 Volvo PV445 pickup on Thursday, Jan. 15, 2015. 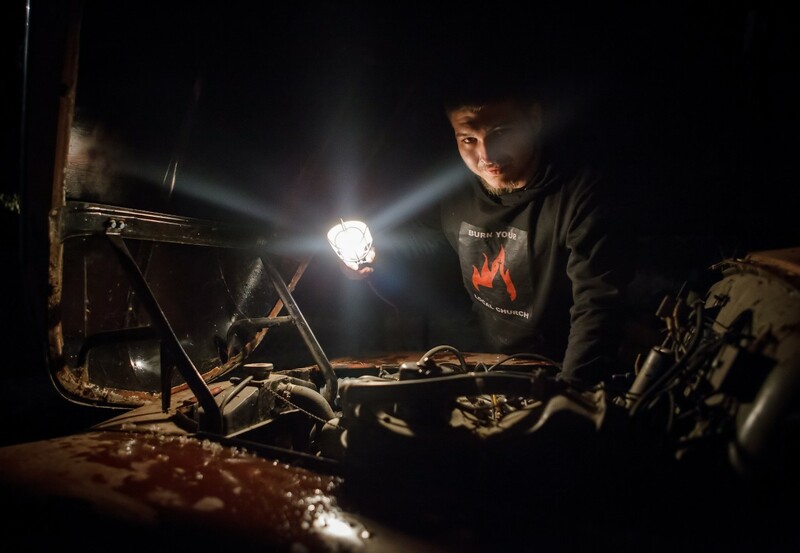 Though Ireland works at a local drywalling company by day, his passion lies in rebuilding this rare model, which is one of less than 10 in North America. 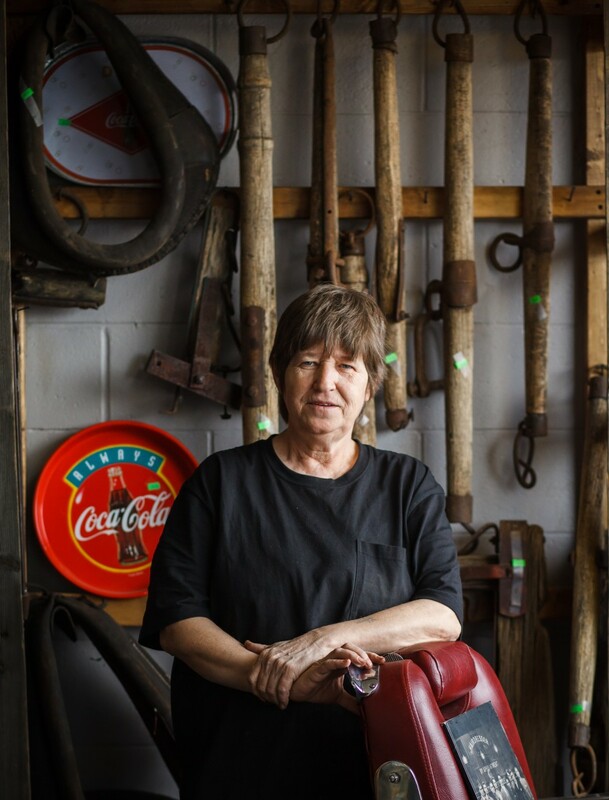 Singer-songwriter and author Phyllis Wheaton looks toward 17 Ave. S.E. from the Art Box, Forest Lawn's pop-up art gallery, on Jan. 24, 2015. Wheaton works with the Business Revitalization Zone on International Avenue, a city-led initiative to improve and promote the 17 Ave. S.E. business district. She spends some of her time overseeing the operation of the gallery, which hosts a variety of art shows and performances every month. 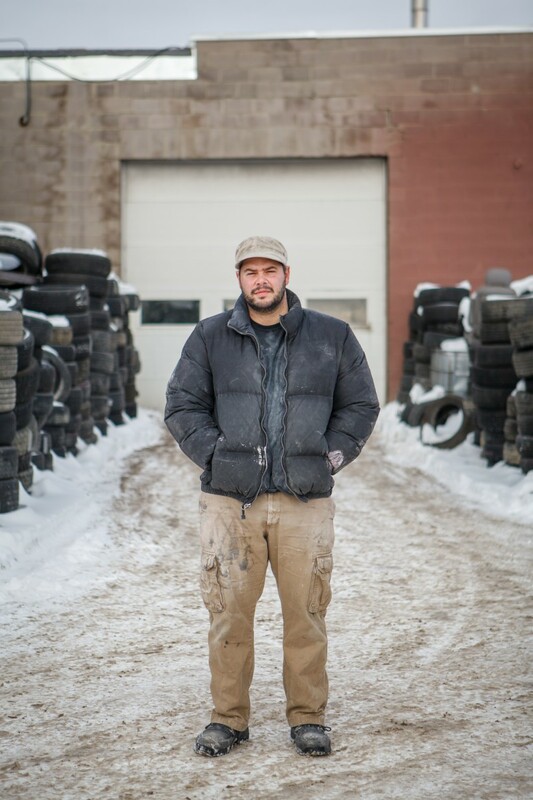 Saad Chemali, 31, has worked in Forest Lawn for five years as a mechanic at Canadian Auto Shop. Chemali, who was born and raised in Calgary to Lebanese parents, says he's thinking of moving Forest Lawn. 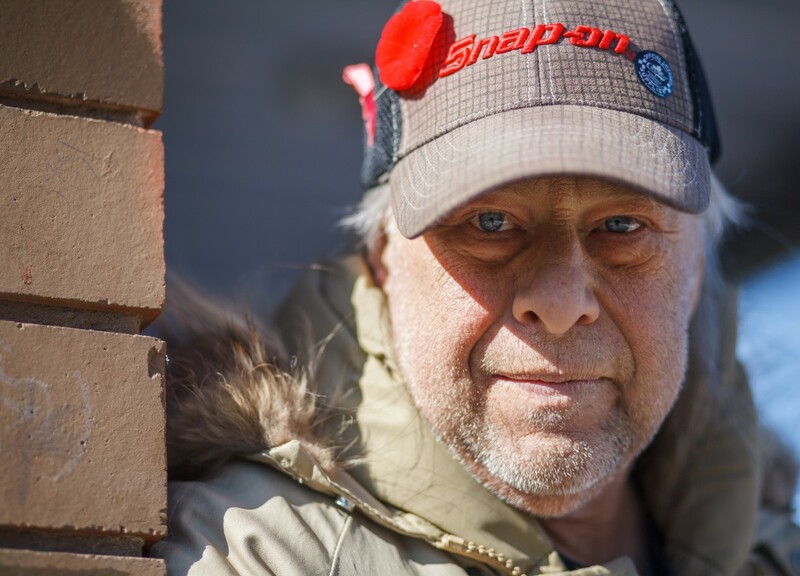 Don Gentz, 53, has been a resident of Forest Lawn for the last 18 years. He says he's glad that crime rates in the area have fallen and enjoys the neighbourhood's friendly people. 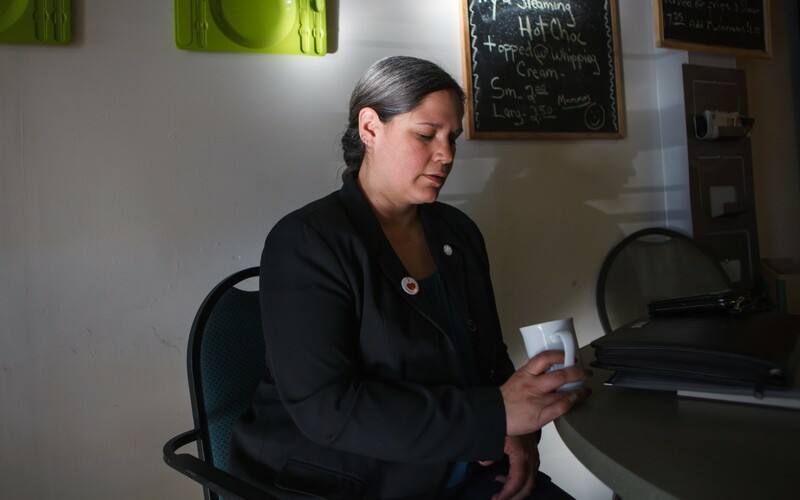 Michelle Robinson is the aboriginal liaison of 12 Community Safety Initiative, a crime prevention collaborative based in Forest Lawn, and the Alberta president of the Aboriginal Peoples' Commission of the Federal Liberals. 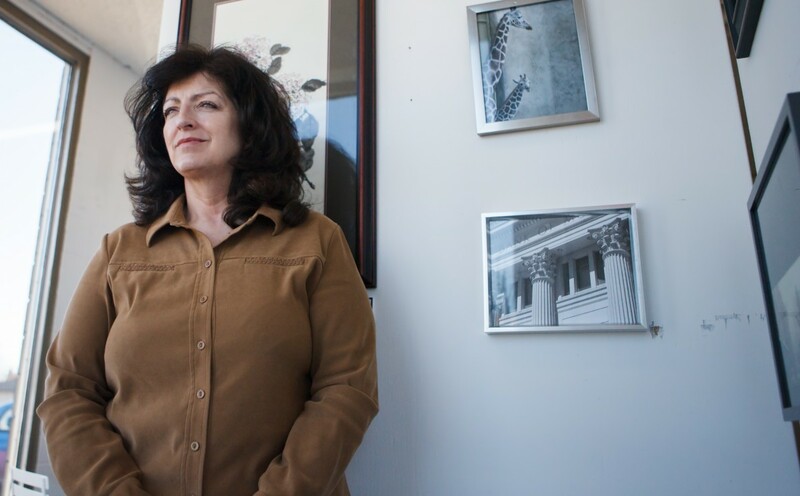 She enjoys the diversity of the area -- where she has lived with her husband and daughter since 2005 -- and advocates for more public programs geared to children and indigenous families in the area. 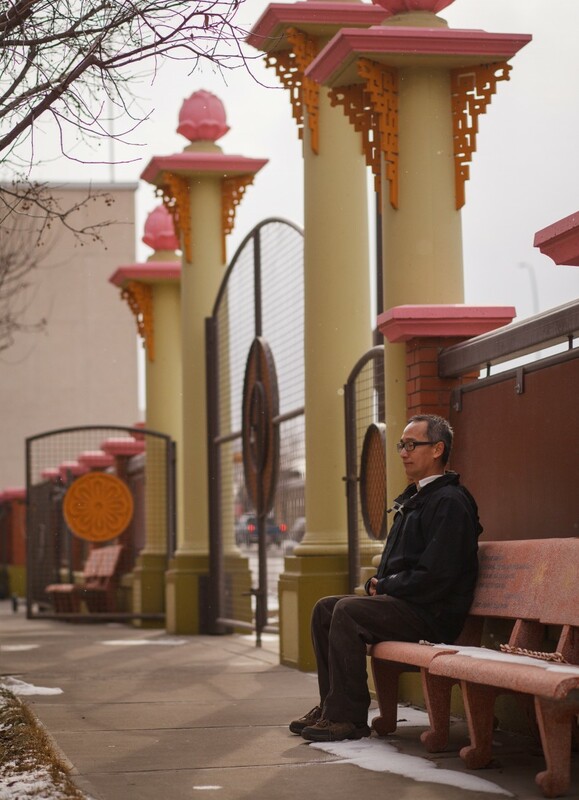 Duc Tran meditates outside the Vietnamese Buddhist Cultural Centre in Forest Lawn after setting up a potluck for Vietnamese New Year on Saturday, Feb. 28, 2015. Tran has lived in the community with his family for eight years and says all it needs is "a few more trees." Jimmy Kilippert plays his favourite accordion in Harmony Lane, his music shop located on 17th Ave. SE in Forest Lawn on Saturday, Feb. 21, 2015. Klippert plays nearly a dozen instruments, and also teaches lessons out of his shop, which he opened in 1972. 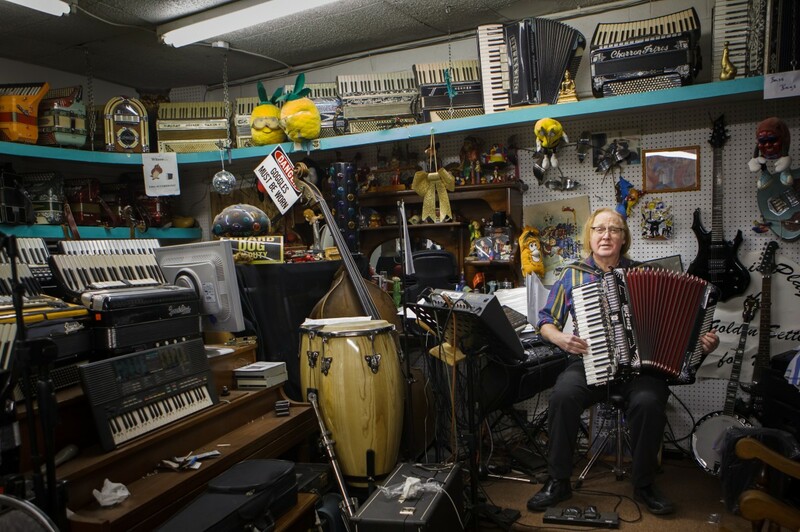 His shop has arguably the largest and most impressive accordion collection in Calgary. 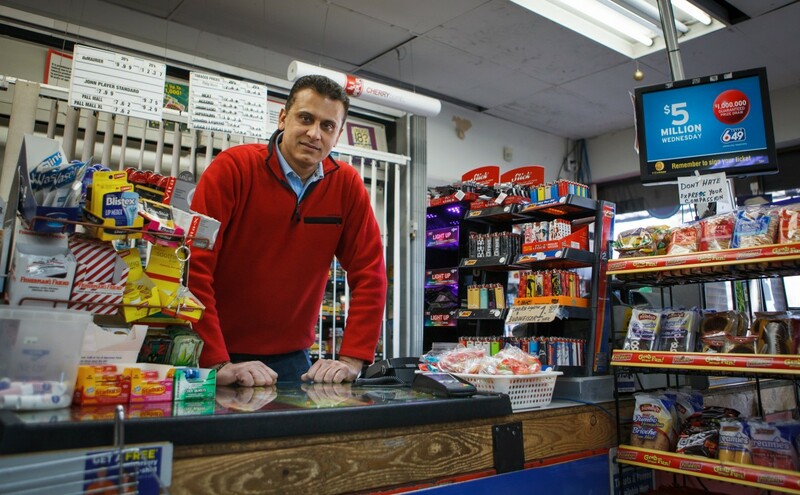 The corner store that Hassan Virani's family has run in Forest Lawn has been in the family for 18 years. The store is popular among residents of the neighbourhood for its friendly customer service. Virani, who knows nearly all of his customers by name, has worked at the store for the last five years. Johanne Molloy rests against a 1940s era hairdresser's chair in Jayson's Corner, the antique shop that she and her husband Jayson have owned and operated since 1994.